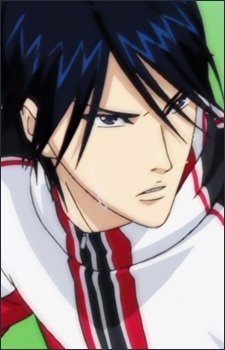 He seems to possess the same affect on people as Yukimura, which is similar to Yips tennis. He was shown to be able to return five tennis balls at one time as practice with relative ease. He is portrayed as an intimidating person, he belongs to the first court, which means he is one of the strongest. He was defeated at the camp last year by Byoudouin Houou and restlessly aims to exact revenge against him. Tokugawa has a very tunneled vision when it comes to rivals up until Echizen Ryoma arrived as he recognized R yoma's abilities the first time they played. His tunneled vision is aimed at Byoudouin Houou. As the latter effortlessly defeated him last year as Tokugawa entered the U-17 Camp.